In a world where life perishes and modernization gets in the way of natural habitats of different species, wildlife conservation is a key factor in keeping Nature’s gift of life in balance. Aldo Leopold is considered by some as the father of wildlife conservation. He was one of the leaders of what is now known as the American wilderness movement and throughout his life, he played many roles ranging from wildlife manager, naturalist, hunter, poet, visionary, and philosopher to name a few. He is credited for the development of the first national wilderness area in America in 1924. 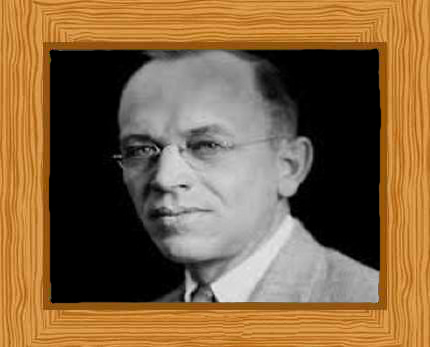 A native of Burlington, Iowa, Rand Aldo Leopold was born on January 11, 1887. He was the eldest son of a manufacturer of fine walnut desks, Carl Leopold, and his mother’s name was Clara Starker. He had a comfortable life, and he grew up living in a mansion situated atop a limestone buff which overlooked the Mississippi River. Down from this mansion and across the railroad tracks flowed the big river which served as a pathway for migrating geese and ducks. For a young boy, this was a wildlife wonderland waiting to be discovered. According to his brother Frederic, Aldo didn’t talk much but was a bright student. He also had a love for reading especially about wood lore. He learnt a great deal about the diet of animals, and the hunter-prey relationships of animals. Aldo’s love for the great outdoors came from his father, who taught him woodcraft and hunting. During early mornings in the fall, he and his father would explore the marsh and wait for the ducks. During the off-season Aldo learned from his father that it was not right to hunt during nesting season—this was a realization instilled upon him long before there were federal laws established about prohibiting hunting during this season. Aldo attended Burlington High School. As a teenager, he learned that Gifford Pinchot, who was a forester and politician, had donated money to Yale University to start one of the country’s first forestry schools. Aldo decided that he would take forestry as his vocation and enroll at the forestry school. Before being accepted to Yale, Aldo attended the Lawrenceville School, which was a preparatory college situated in New Jersey. Aldo arrived in Lawrenceville School, shortly before turning seventeen in in January 1904. He showed his love for the great outdoors and he was frequently mapping the area and he made notes about the wildlife he saw. He studied there for a year, and was then accepted to Yale. He attended Sheffield Scientific School at Yale University and then went on to Yale School of Forestry for graduate studies. Aldo graduated from Yale with his Master’s Degree in Forestry in June 1909. Afterwards, he joined the United States Forest Service where he was then assigned to the New Mexico and Arizona areas. Initially, he was one of the forest assistants at the Apache National Forest which is in the Arizona territory. In 1911, Aldo was transferred to northern New Mexico, specifically to the Carson National Forest. During this time he developed the very first management plan for the Grand Canyon and he wrote the Forest Service’s very first fish and game handbook in 1923. He also proposed the Gila Wilderness Area which is America’s first national wilderness area recorded in the Forest Service system. Aldo had a fruitful career in forestry and in 1924 he was transferred to the U.S. Forest Products Laboratory located in Madison, Wisconsin. There he became an associate director. Nine years later he became the Professor of Game Management in the Agricultural Economics Department which was the first professorship for wildlife management. In 1935, he assisted the founding of the Wilderness Society. In the same year he acquired “The Shack”, which became the setting for most of his sketches. In the fall of 1935 he studied forestry and wildlife management in Germany, thanks to a Carl Schurz fellowship. A few years later in 1939, he became the chairman of the new Department of Wildlife Management at the University of Wisconsin. In 1943, he was appointed to a 6-year term in the Wisconsin Conservation Commission which largely focused on deer policy. Aldo lived with his wife and children in a two-story home which was near the University of Wisconsin–Madison. His children also became naturalists and teachers. Today this home stands as one of the landmarks of Madison. In 1935 Aldo purchased an eighty acre run down farm on the Wisconsin River near Baraboo. He and his wife Estella and their five children then set about planting the land with trees. An old chicken coup was turned into a cabin, known as the Shack. There the family spent many weekends and holidays restoring the surrounding land and tending a garden. Aldo published over 300 articles about the wilderness in his lifetime. His most famous work is his collection of essays “A Sand County Almanac,” which was finished just before his death. Aldo had a fatal heart attack while helping to fight a grassfire on his farm. He died on April 21, 1948 and was buried in Burlington, Iowa, his hometown.